The horse hoof is a very complex structure which serves to absorb concussion during exercise and supports the weight of the horse during activities requiring agility and soundness. The basic principle involves the of hoof care and as well as the most common horse hoof diseases and pathological conditions. 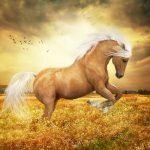 The most common proverb is “ no foot no horse” indicates the importance of the foot to the ultimate athletic ability of the horse. The equine foot is a sophisticated system of bones and tissues which provides an effective interface with the ground. I will discuss the basic hoof care of the horse and some common horse hoof disease. At the very outset, you must know the basic anatomy of horse hoof, structure and blood, and nerve circulation. 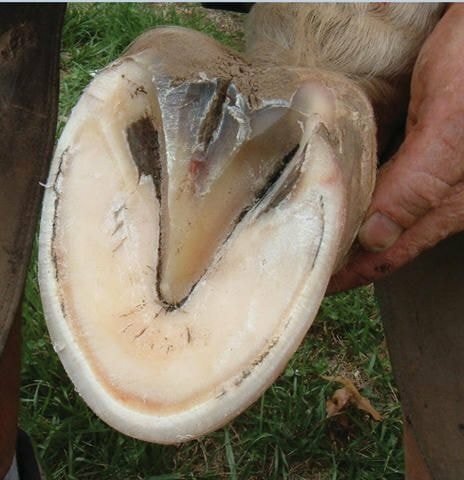 The knowledge on horse hoof anatomy helps you taking proper care and management. A healthy hoof indicates the sound horse and fits for horseback riding, racing, and work. Each horse hoof contains two and a half bones, the coffin bone, the navicular bone and the distal end of the short pastern bone. The coffin bone is also referred to as the pedal bone, is completely contained within the hoof wall. 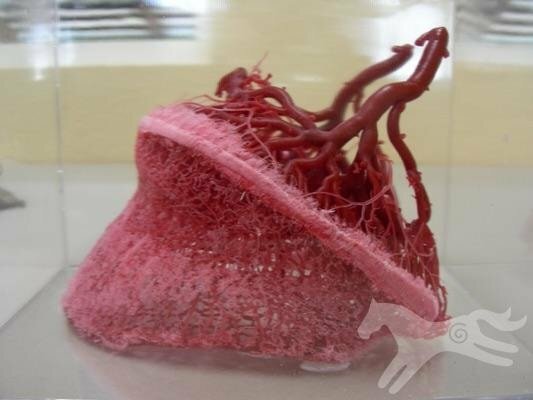 The coffin bone gives the foot its rigid structure and allows for the attachment and protection of blood vessels and nerves that nourish the sensitive structure of the hoof. The navicular bone sits behind the articulation of the coffin bone and short pastern bone which together form the distal interphalangeal or coffin joint. 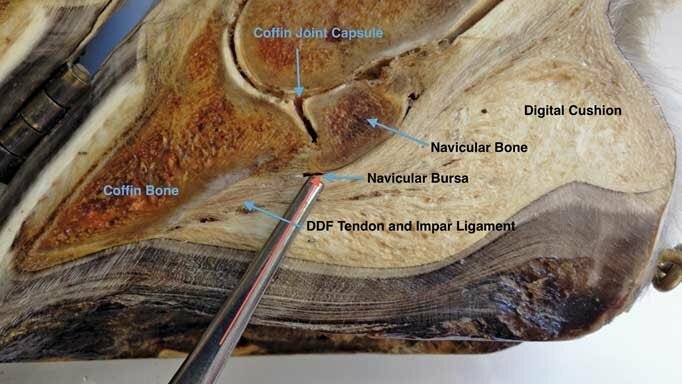 The navicular bone serves as a fulcrum for the deep digital flexor tendon as it passes behind and under the navicular bone before its attachment to the coffin bone. The navicular bone is subjected to injury and wear and the development of the navicular disease of the horse hoof. The lower end of the short pastern bone is rounded to form condyles that articulate with corresponding concave depression of the coffin bone. The rounded ends of the short pastern bone allow lateral adjustment of the foot to compensate for uneven terrain. The horse hoof is the epidermal keratinized structure that surrounds the lower part of the foot; it is derived from the coronary corium or dermis that lies at the junction of the skin and hoof wall. 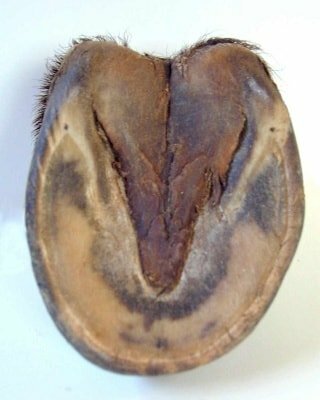 The horse hoof wall is the portion seen when the horse is in the standing position and extends from the ground to the coronary border, where the soft white horn of the periople joins the epidermis of the skin at the coronet. 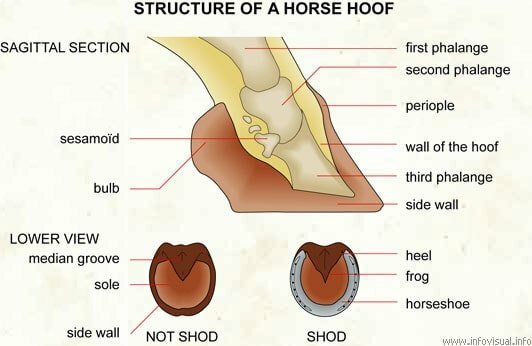 The hoof wall is to reflect the under the surface of the foot to form the bars, which are two ridges that converge to delineate the solar surface of the foot into the sole and the frog. The wall is covered by a waxy substance secreted by the periople that that controls loss of moisture from the horse hoof. The insensitive stratum medium forms the bulk of the wall and exhibits parallel ridges and depression that extend from the base to coronary band, which lies at the junction of the horse hoof and the skin. The deeper inner portion of the wall is referred to as the laminar corium and is formed by approximately 600 primary epidermal laminae. The hoof wall is thickest at the toe, thinners at the quarters and widens again at the heels. The sole makes up the greater portion of the ground surface of the horse hoof. The hardened tissue of the sole is produced by the underlying corium which is an extension of the laminar corium covering the coffin bone. The white line is the junction formed by the periphery of the sole with lamellae of the horse hoof wall. It is thickest at the toe and thinnest at the heel and is readily apparent after the foot has been trimmed and rasped. As the white line separates the sensitive from the insensitive structure of the hoof, it is used as a guide for the nail placement during shoeing. The white line serves to absorb shock between the movement of the sole and horse hoof wall. The cell of the sole become cornified and harden as they grow to provide its characteristic rigidity. The growth of solar tissue is at approximately the same rate as the hoof wall; however, the wear of the sole is more rapid due to its softer consistency. The frog is a triangular shaped structure that covers a portion of the coffin bone and the digital cushion. 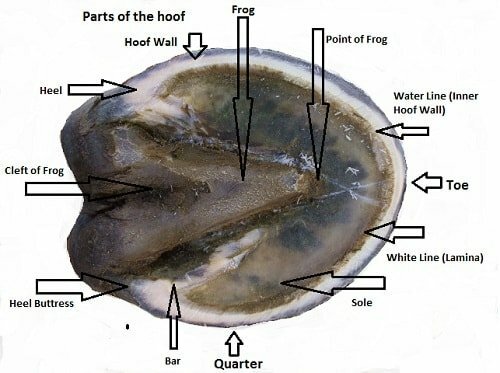 The healthy frog is a pliable, spongy structure containing 50% water and unlike other structure of the horse, hoof sole healthy fat secreting cells. The frog should have some ground contact to function properly. The pointed portion of the frog is referred to as apex, and the depression in the middle is the central sulcus. The raised area near the heel at the widest area of the frog is referred to as the crus. 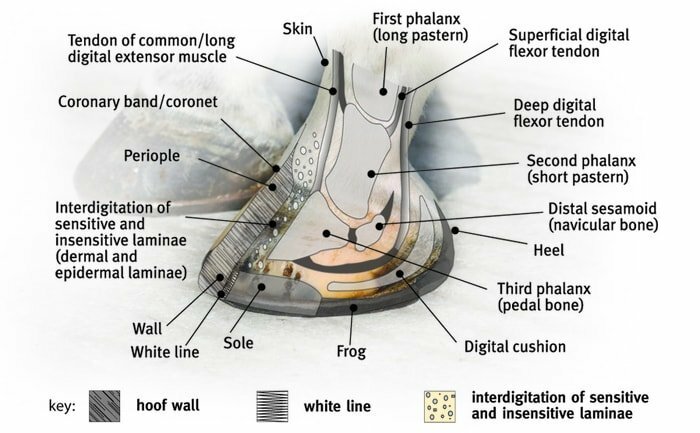 The healthy frog of horse hoof maintains the consistency of a rubber eraser due to the fat secreting cells and is shed about twice a year if left untrimmed. 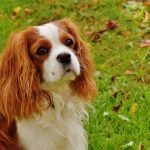 The frog is a good barometer of the health of the hoof and becomes an atrophied and small in the case of over-paring, contracted heels and if affected by thrush. Besides protecting the coffin bone, the frog is an integral part of the shock-absorbing mechanism of the horse hoof and aids in traction. It is frequently referred to as the heart of the foot and has been credited with improving blood circulation in the horse hoof, acting as the hydraulic pump. Two cartilage attaches to the lateral and medial side of the coffin bone just beneath the dermal lamellae and extends to the heel where they are covered by skin. They are the wing-like structure made of soft hyaline cartilage in the young horse, and fibrocartilage in the older horse. When the cartilage becomes ossified, the condition referred to as sidebone. Although not a severe fault, sidebone does increase the concussive forces to which the foot is subjected and may lead to more wear and tear on the horse hoof. The digital cushion is the part of the shock-absorbing, elastic structure ‘sling’ of the horse hoof and is located deep to the frog. The digital cushion is the meshwork of collagenous and elastic fibers, the deposit of fat and tough fibrocartilage — the base of the cushion bulge to form the bulb of the heel and is continuous with the coronary cushion. The function of the coronary cushion is the protection of the extensor process and shock absorption. 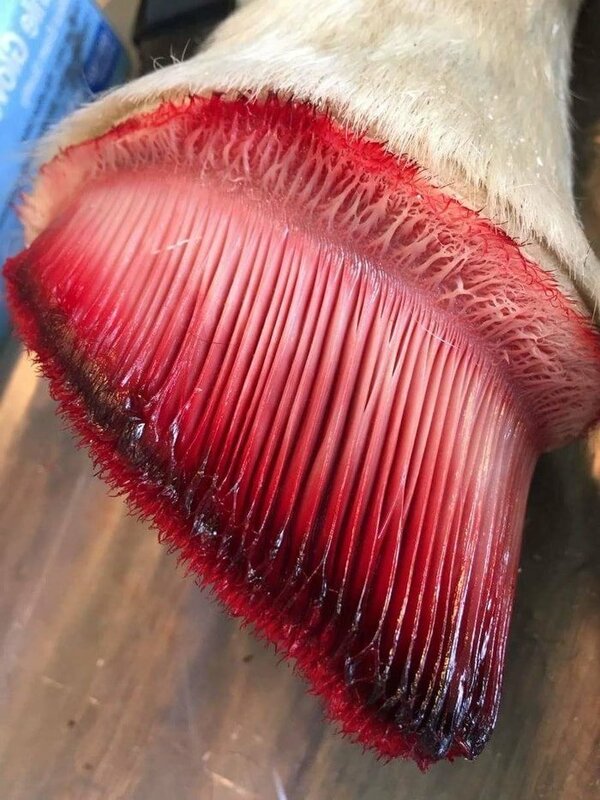 The horse hoof receives arterial blood from medial and lateral digital arteries which descend its limb and are palpable over the proximal sesamoid bone at the fetlock and the later-palmar aspect of the first phalanx. The strength of the digital pulses is used to determine inflammation or active disease within the foot. Both digital arteries give off numerous branches in the area of the short pastern bone to supply blood to the various structure of the foot. Each digital arteries enters an opening in the bone ( solar foramen) and joins with the other digital artery to form the terminal arch of the coffin bone. Branches are arising from the terminal arch course through the coffin bone to supply blood to the laminar corium and sole. Three venous network or plexuses drain the vascular beds of the foot-the dorsal plexus in the laminar corium, the coronary plexus in the coronary corium and the pulmer plexus consisting of venous channels from the coria of the frog, sole, digital cushion and the inner surfaces of the cartilages of the coffin bone. At the proximal edge of the cartilages, the venous plexuses convert to join the medial and lateral digital veins. Besides the plexuses, venous return in the foot is facilitated by deep veins within the coffin bone and beneath the coronary band. A functional blood perfusion system in the hoof is critical to the maintenance of the health of horse hoof. As a horse owner, you must have a deep knowledge of maintenance of healthy horse hoof and its mechanism. The healthy hoof will ensure the healthy horse. You will get the maximum benefit out of your horse. A healthy horse hoof will keep you also mentally sound. The horse hoof wall grows evenly from the coronary border at the rate of 6-9.5mm per month, so the youngest portion of the wall is at the heel. A sound solid hoof wall that grows at a reasonable rate and holds a shoe well is as much a function of breeding as any other single factor. Sound footed horses tend to produce horses with the good hoof. Beyond the breeding, growth, and integrity of the hoof wall are affected by nutrition, exercise, environment, moisture, and overall general health. Horses on a good plan of nutrition tend to show accelerated hoof growth when compared to horses on a deficient plan. The water-soluble vitamin Biotin and sulfur-bearing amino acid methionine are particularly involved in promoting the production of a healthy hoof wall — any factor that promotes the circulation of blood in the horse hoof and moisture retention impacts possibly on hoof growth. 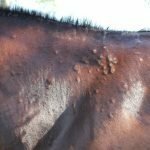 Dry, hot weather and hard terrain appear to decrease horse hoof growth or it may be that under this conditions were simply outstrips growth. Retaining elasticity, moisture and circulation in the horse hoof will result in acceleration hoof growth and should be the goals of a horse hoof care program, especially when horses are kept shod or under intensive training. There is a considerable difference of opinion among veterinarians and farriers with respects to the efficacy of hoof dressings applied topically. These products do no real harm and if the result in greater horse hoof moisture and flexibility they may be some benefit. 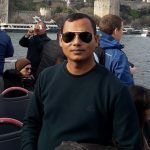 It is worthy of note that those who are conscious enough to go through a daily regimen of dressing the hoof are probably doing other procedures which are also necessary for correct hoof health. Regular observation and cleaning of the horse hoof will do must to ensure the hoof remains healthy and free from disease. Daily cleaning of hoof may be impractical for the large group of horses turned out to pasture and receiving minimal individual care and is less important than stabled horses. Stabled horses in work should have their feed daily as most are shod causing manure and bedding to become packed under the hoof. 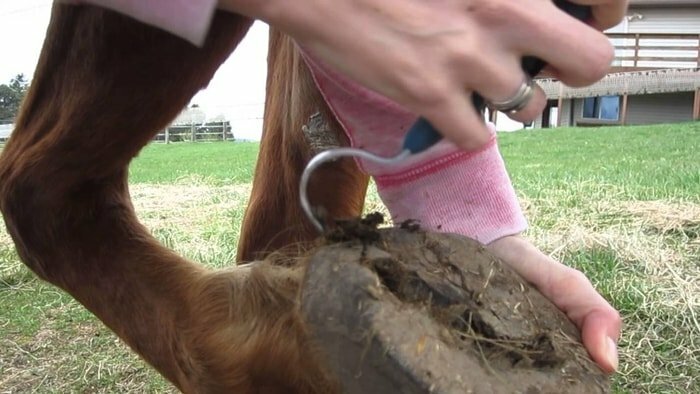 Thrush and other bacterial diseases of the hoof can be eliminated if the horse is kept on a routine hoof hygiene program. 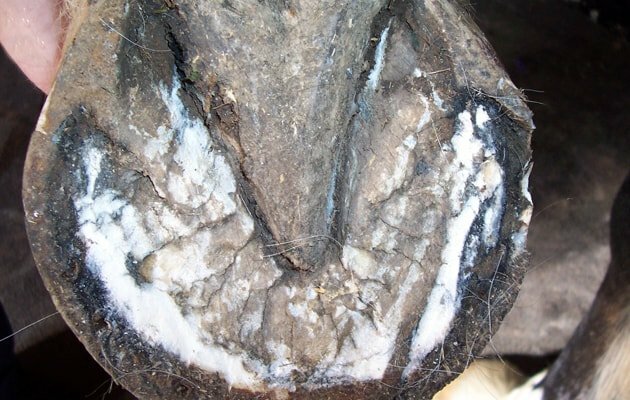 Other diseases of the horse hoof such as abscesses can be identified early and their severity minimized if the hoof is cleaned and inspected daily. Cleaning of the hoof ensures that the handlers give the horse at least on thorough examination daily. 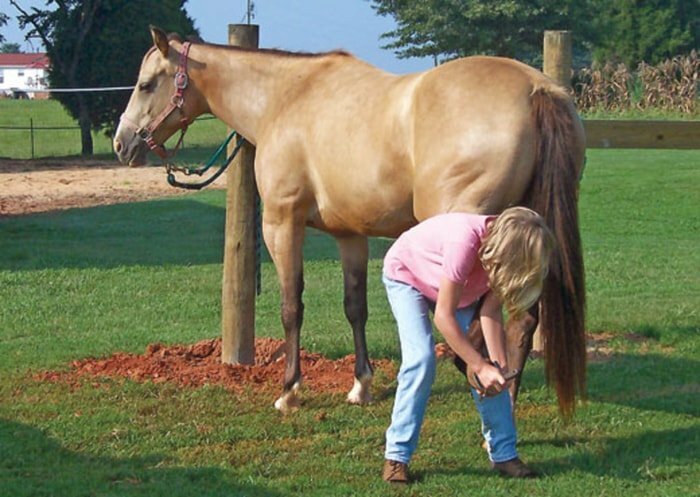 You must teach your horse to stand quietly while the hoof is picked a good discipline in preparation for the farrier who comes to trim or shoe your horse. Horse hoof should be clean with a blunt instrument, preferably a hoof pick, to ensure the hoof is not damaged. The horse hoof should be clean from heel to toe rather than stating at the toe and working toward the heel. These will prevent damage to the foot if the horse has thrush or if it puts the hoof down while being cleaned. All debris should be removed from around the frog and the hoof examined for signs of the puncture wound, abscesses, and gravels. Although the medial hoof wall is steeper than the lateral hoof wall, the hoof wall should appear symmetrical from side to side and from the coronary band to the ground surface. When held the balance hoof should be flat and balance. 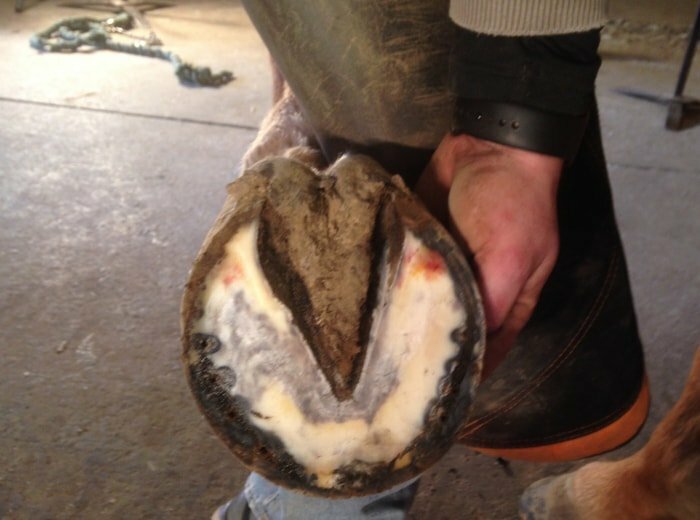 If a line is drawn through the middle of the pastern bone, the hoof wall should be thick enough to bear weight and not wear excessively when unshod. Thin walls in foals or older horses may collapse in the quarters and exerts pressure on the adjacent laminar corium and coffin bone. In the normal unshod hoof, the toe becomes worn at the point of a break over, which should occur at the center of the toe. 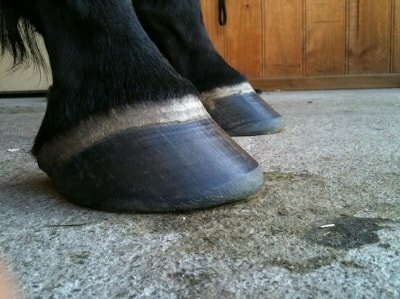 The concave sole should be thick enough to protect the sensitive structures of the foot, yet be free of an excess horn. The frog should be broad and well developed and clear the ground except at the angle of the wall. The angle of the toe with the ground reflects the angle of the coffin bone and pastern and should be similar to the angle of the shoulder. The angle of the fore hoof will vary with the overall conformation of the horse from 45-60 degree. The narrower, more pointed hind hoof reflects the shape of the coffin bone. The angle of the toe in the hind foot is generally steeper than that of the front foot and varies from 55-60 degree. From the front or rear, all limbs should appear straight, with a line drawn from the point of the shoulder or point of the heap bisecting the fore and hind limbs. The deviation is an indication of an angular deformity. If the joint and toe do not rest in proper alignment that a rotational limb deviation exists. Hoof trimming should result in a balanced foot, one which is shaped to maximize function and long-term soundness. It gives the opportunity to remove excess growth and alter the growth pattern of the external hoof wall to produce a sounder hoof. Trimming should be performed only as frequently as necessary and may vary widely between individual, season and geographical locations. The time between trimmings has by convention been set at every 4-6 weeks but should be done only when needed. Over-trimming may have a negative impact on the growth and development of the normal hoof, especially in young horses. 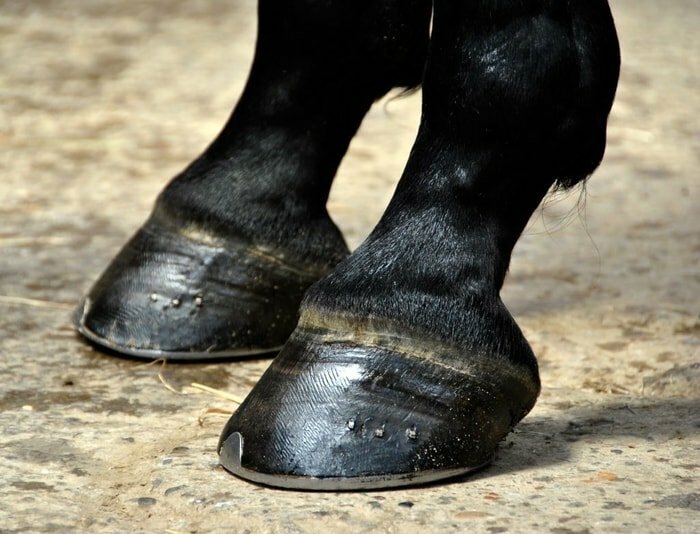 The reasons for trimming are to remove excess growth before its breaking off, to remove flares and other hoof abnormalities, to change the angle of the hoof and prevent uneven wear. The tools necessary for proper hoof care and trimming are a hoof knife, a rasp and a set of hoof nippers. Before trimming, the foot should be examined for balance and point of the break over. The foot should be cleaned with the hoof pick or the blunt side of hoof knife. After removal of debris, the hoof knife should be pared away the excess sole from the bottom of the foot and trim the frog and bars of the foot. Hoof care should be taken to thoroughly clean out the commissure of the hoof and any tissue that may trap debris and provide a site for the development of thrush. After pairing the sole to shiny a consistency, which is characteristic of the healthy sole tissue, the nippers should be used to remove excess hoof wall. The nippers should be held and used perpendicular to the ground surface of the hoof. After the nippers, a rasp should level the hoof and round the edges of the hoof wall to prevent sand cracks. 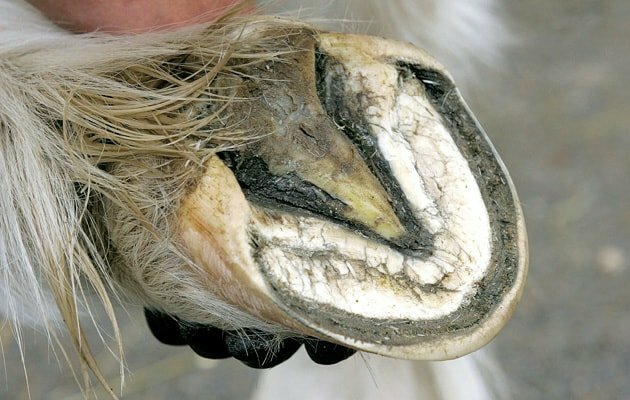 To ensure adequate hoof care and keeps the horse healthy you must know the pathological conditions of horse hoof and common horse hoof diseases. 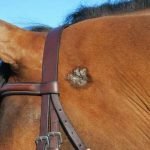 There are at least 20 or more pathological conditions or horse hoof diseases may be seen in your horse. If any disease condition observed in your horse, the soundness of your horse will be lost and fit for horseback riding. Buttress horse hoof is characterized by a swelling just above the coronary band in the region of the extensor process of the coffin bone. It is caused by the fracture of the extensor process of the coffin bone, or by low ringbone. Other conditions that give rise to buttress foot are abscesses or injury to the coronary band resulting in damage to cell responsible for the generation of the hoof wall. Treatment includes balancing the hoof and using a rolled or rocker toe shoe to reduce pressure. Pads and silicon may also alleviate pressure and reduce the extent of lameness. One of the more frustrating condition is brittle feet. Brittle feet are prone to quarter and toe cracks and do not support a nail. Frequently brittle feet occur in conjunction with white line disease, badly flared or flat feet. 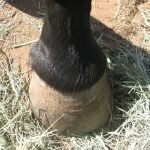 The methods previously described for treating this problem may be utilized, but it is important to restore normal hoof angle and concavity of the horse hoof. When flares axis, there is a great deal of force exerted on the hoof wall which causes the wall to break away. In cases of brittle feet, it is advantageous to provide extra biotin in the diet. 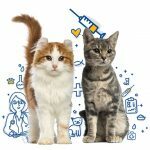 Biotin intake should be set at a minimum of 30 mg/day until the hoof starts to respond, with subsequently maintenance level 20 mg/day. Frequent resting, before the shoes become loose, will do much to ensure that a sound hoof wall is maintained. Club hoof is characterized by a very steep hoof angle at the toe, a pastern-hoof axis that is broken forward, dishing of the feet and excessive growth at the heel. The condition may be congenital or develop after foaling, and there is a genetic predisposition. 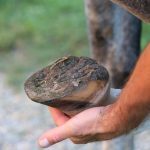 Club hoof may also be caused by lameness when the horse does not use the leg or only uses the toe causing excessive wear to the toe and adequate wear on the heel. Club horse hoof is seen in the foals with acquired fore limb contracture, fractured coffin bones and when the ground is very hard and dry and the baby feet break off prematurely. Elimination of the condition infrequently occurs, especially in congenital cases. The hoof should be trimmed such that the heel is gradually lower and an extended toe shoe or a shoe that fits full at the toe applied to encourage growth at the top. If the affected horse is allowed to go unshod, the toe will continue to wear more than the heel, resulting in a foot that continues to appear clubs. In some instances, there may be some rotation of the coffin bone which can be seen radiographically. Although many clubs footed horses complete very well, it is a fault that diminishes the horse’s value. Flat hoofed horses do not have the normal concave sole and are more likely to develop the sole abscess. The flat horse hoof is seen in horses that tend to flare feet and seedy too. 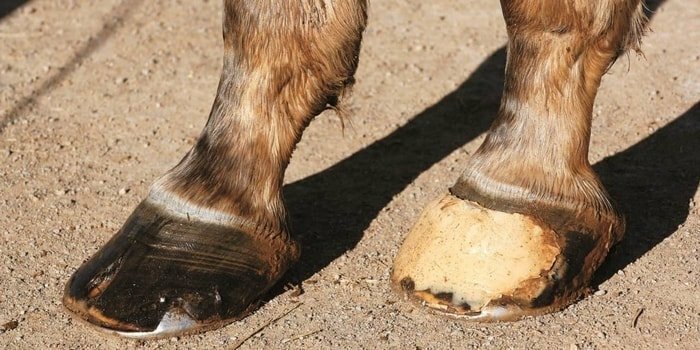 An attempt should be made to restore or create the normal concave sole, and flat-footed horses should be shod with a beveled shoe to ensure weight bearing is on the hoof wall rather than the sole. Rim pads or full pads may be used to protect the foot if the horse is to be used on the rocky or uneven terrain. The contracted heel is narrower at the bulbs of the heel than normal. Frequently the frog is petrified due to lack of ground contact, and the bars of the foot are thicker and more pronounced than horses with adequate wide in the heels. Horses with contracted heels are prone to thrush and navicular disease. Although contracted heels seem to predispose a horse to navicular disease, in many cases, they may be as much a result as a cause. Treatment includes restoring normal moisture in the foot, trimming out the bars to allow the hoof to spread, restoring normal frog pressure and proving a sleeper heel shoe. It may speed treatment to weaken the wall in the area of the heel to allow the foot to spread. A bar shoe a may be used to increase weight-bearing in the area of the heel. Underslung heel may result from a congenital defect or improper trimming of shoeing and are seen most often with a long toe-low heel confirmation typical of some racehorses. The base of support is moved further forward than it should be and the pressure on the deep digital flexor tendon is consequently increased. Leaving toe much toe and consistently taking off too much heel least to the condition. Treatment includes taking off more toe, not trimming the heel, shoeing with wedge pad to raise the heels, and fitting the shoes full in the heel to increase support. AS the pastern-hoof axis often broken backward, re-establishment of the proper angle is important. The horse hoof is the very vital structure for your horse, and you must ensure proper care of it. The adequate knowledge of horse hoof will enrich your care and management. 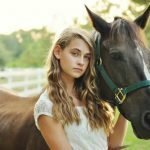 As a horse owner, caregiver, vet or farrier this article will help you a lot.